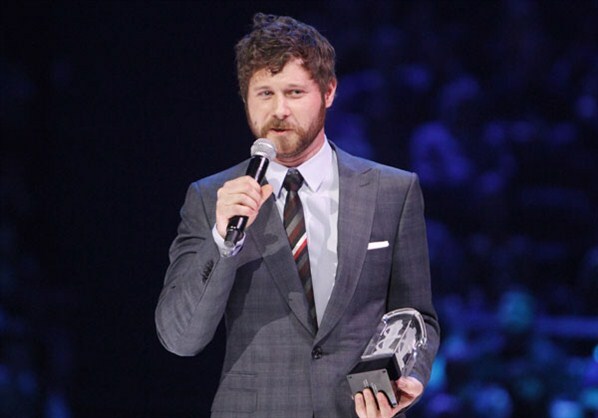 Congrats to Dan Mangan on his two Juno wins! So yeah, they gave one of the big awards to a Christmas album…but there are still some good-news stories for music fans from the weekend’s Juno Awards. Feist won artist of the year, The Sheepdogs capped off their breakout year with a few wins, The Arkells won a group award, and Nickelback didn’t win anything as a band! Dan Mangan also had a great night, winning two awards: new artist of the year and alternative album of the year for Oh Fortune. We’ve been singing Mangan’s praises for a while, and on top of it he’s a really nice dude — he was kind enough to shoot this minilogues video with us back in March 2010. Check it out and remember why you dug him in the first place or find out what the fuss is about if you don’t know his stuff yet. Congrats on the wins!